Kenyon began as a small manufacturer of aviation and marine instruments in 1931. As business developed, they led the way with the breakthrough development of ceramic glass cooktops for the high seas, becoming the standard for yachts around the world. The immense popularity of the cooktops led to a high-demand for shore-side models to be enjoyed in homes. Kenyon has spent the last 80 years engineering smart designs that have changed the way people think about cooking while providing exemplary customer service. Today, Kenyon International, Inc. is the largest manufacturer in North America of two burner ceramic glass cooktops and high-quality stainless-steel electric grills. The company consistently surpasses challenging engineering concepts that lead their customers to a new and innovative cooking experience. Introducing the patented SilKEN&reg; Grill, a flameless and smokeless electric grill that incorporates a patent-pending high-temperature silicone lid. 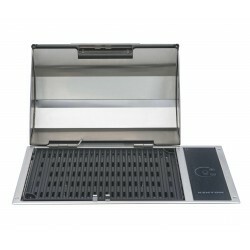 Ideal for all grill applications, the lid can collapse accordion-style to a height of two inches making it easier to tuck away in any convenient location. The lid has two handles, one on top and one on the front edge, and vents on three sides. Waterproof digital touch control panel for precise heat control. Made of weather resistant &amp; rust proof Marine grade 304 stainless steel. Choose between 2 different touch controls. User-friendly IntelliKEN is a waterproof touch control system that integrates the latest swipe technology with user-friendly features. Precision control (PC): Allows selecting power. Direct temp feedback (DTF): It is Kenyon&rsquo;s patent-pending system which gives you ability to cook by temperature and time. The Frontier Grill has an angled double lined lid which locks in the heat while keeping the exterior of the lid from becoming searing hot. Availablein portable and built-in units. Ample cooking space makes it easy to enjoy delicious grilled meals that are cooked to perfection from the comfortof your kitchen or while relaxing outside. Waterproof digital touch control panel for precise heat control. Made of weather resistant &amp; rust proofMarine grade 304 stainless steel. Choose between 2 different touch controls: IntelliKEN Touch&trade; Control User-friendly IntelliKEN is a waterproof touch control system that integrates the latest swipe technology with user-friendly features. Precision control (PC): Allows selecting power. Direct temp feedback (DTF): It is Kenyon&rsquo;s patent-pending system which gives you the ability to cook by temperature and time. Lite-Touch&trade; Control Lite-Touch&trade; is Kenyon&rsquo;s traditional control. Simply touch the On/Off circle and then raise or lower the heat setting by pressing the (+) or (-) graphic on the sealed moisture proof ceramic glass panel and you are instantly cooking! The Kenyon SilKEN&reg; All Seasons&trade; Grill is constructed of the highest quality, marine-grade stainless steel. The Floridian Grill has an oval shaped double lined lid which locks in the heat while keeping the exterior of the lid from becoming searing hot. Available in portable and built-in units which are engineered for indoor or outdoor use. The concealed electric element eliminates grease flare-ups while providing a virtually smokeless heat source. Waterproof digital touch control panel for precise heat control. 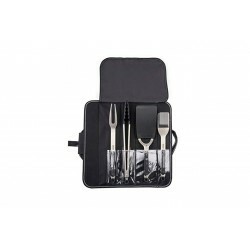 Made of weather resistant &amp; rust proof Marine grade 304 stainless steel. Choose between 2 different touch controls: IntelliKEN Touch&trade; Control User-friendly IntelliKEN is a waterproof touch control system that integrates the latest swipe technology with user-friendly features. Precision control (PC): Allows selecting power. Direct temp feedback (DTF): It is Kenyon&rsquo;s patent pending system which gives you ability to cook by temperature and time. Lite-Touch&trade; Control Lite-Touch&trade; is Kenyon&rsquo;s traditional control. Simply touch the On/Off circle and then raise or lower the heat setting by pressing the (+) or (-) graphic on the sealed moisture proof ceramic glass panel and you are instantly cooking! The Kenyon SilKEN&reg; All Seasons&trade; Grill is constructed of the highest quality, marine-grade stainless steel. 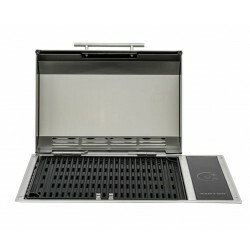 The No Lid Grill has all of the cooking power of the rest of Kenyon&rsquo;s Electric Grills except it is missing one key feature, the lid. 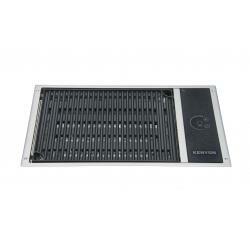 This allows users with limited height clearance an easy solution as a flat top surface. 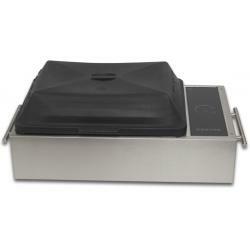 Featuring a simple, elegant design, the No Lid Grill will add class to any kitchen or galley. Waterproof digital touch control panel for precise heat control. Made of weather resistant &amp; rust proof Marine grade 304 stainless steel. Choose between 2 different touch controls: IntelliKEN Touch&trade; Control User friendly IntelliKEN is a waterproof touch control system that integrates the latest swipe technology with user-friendly features. Precision control (PC): Allows selecting power. Direct temp feedback (DTF): It is Kenyon&rsquo;s patent-pending system which gives you the ability to cook by temperature and time. Lite-Touch&trade; Control Lite-Touch&trade; is Kenyon&rsquo;s traditional control. Simply touch the On/Off circle and then raise or lower the heat setting by pressing the (+) or (-) graphic on the sealed moisture proof ceramic glass panel and you are instantly cooking! The Kenyon SilKEN&reg; All Seasons&trade; Grill is constructed of the highest quality, marine-grade stainless steel. 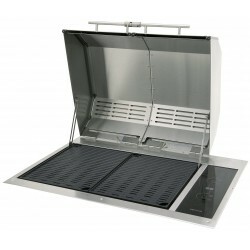 The Texan Electric Grill is the flagship of Kenyon&rsquo;s grills. At twice the size of the standard grills, the Texan has dual heat control to provide precision cooking. The double lined lid can also be split to allow the user to tend to one side without losing the heat on the other. Utilizing (2) 1500-watt elements, the Texan will exceed temperatures of 600˚F and produce no smoke without any chance of flare-ups. Waterproof digital touch control panel for precise heat control. Made of weather resistant &amp; rust proof Marine grade 304 stainless steel. Choose between 2 different touch controls: IntelliKEN Touch&trade; Control User-friendly IntelliKEN is a waterproof touch control system that integrates the latest swipe technology with user-friendly features. Precision control (PC): Allows selecting power. Direct temp feedback (DTF): It is Kenyon&rsquo;s patent-pending system which gives you the ability to cook by temperature and time. Lite-Touch&trade; Control Lite-Touch&trade; is Kenyon&rsquo;s traditional control. Simply touch the On/Off circle and then raise or lower the heat setting by pressing the (+) or (-) graphic on the sealed moisture proof ceramic glass panel and you are instantly cooking! The Kenyon SilKEN&reg; All Seasons&trade; Grill is constructed of the highest quality, marine-grade stainless steel.